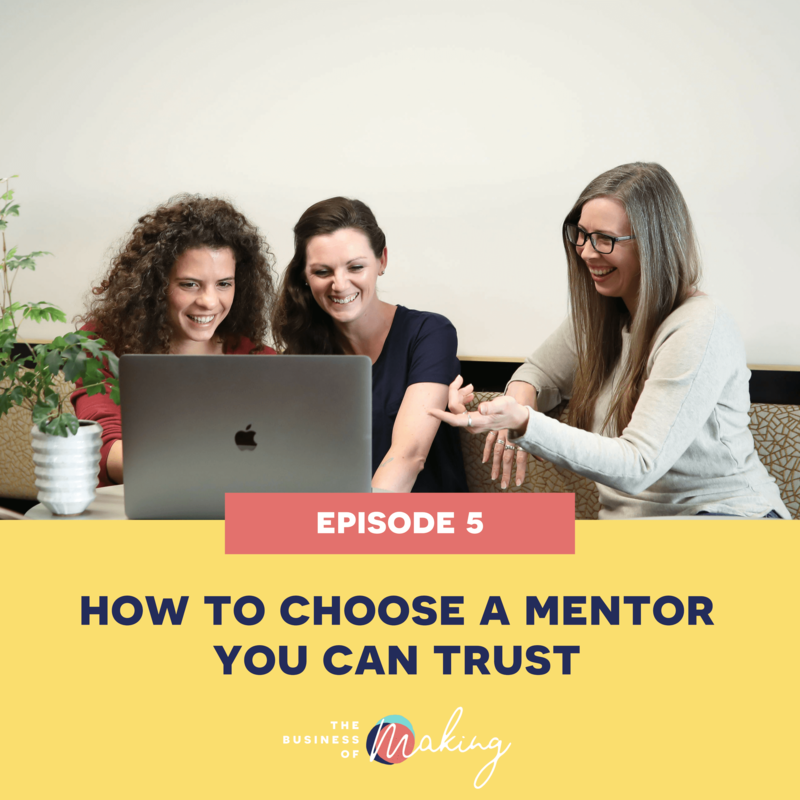 In this episode, we talk about finding the right mentor to guide you through your handmade business journey. There’s a lot of noise on the internet and it can be very hard to find someone you can trust, someone who is going to help you get results, someone who cares. A lot of experts actually have no idea what works and what doesn’t for handmade shops and talk more broadly about “business” in general… which is not ideal. We hope this episode can give you some guidance when it comes to learning from someone else and finding the perfect match for yourself and your business. There are a lot of people who call themselves experts in starting and succeeding in your own business, so how do you know who to trust and who to listen to? Realizing that the most amazing teacher you will ever find is Google.